CODZ unequivocally supports the BDS Movement. Since 1948, Israel has “ethnically cleansed” more than 750,000 Palestinians from their ancestral homes in the West Bank, forcing them into squalid refugee camps in neighboring Arab countries which have had difficulty providing for their own population. This forcible appropriation of Palestinian property, much of it valuable agricultural and mineral producing land, continues on an everyday basis in the West Bank and in East Jerusalem for the benefit of Israeli “settlers” who, protected by the Israel Defense Forces (IDF), harass the supplanted Palestinians. Israel expands this land-grab with the construction of a grotesque Wall that arbitrarily cuts through Palestinian land, severing Palestinians’ access to their water sources, olive groves and grazing grounds, and facilitating exploitation of these stolen fields by Israeli developers, who in turn destroy Palestinian houses and other personal property to make way for the building of Jewish-only settlements. Further expropriation, with the aim of annexing the whole of Palestine, occurs with the construction of paved roads that criss-cross the West Bank for the exclusive use of the Israeli settlers. This seizure of land is accompanied by Israel’s apartheid harassment of and discrimination against Palestinians in the West Bank and Gaza and in Israel itself – through indefinite administrative detentions, torture during detention, arresting of children, brutal interrogations, arbitrary expulsions, military curfews, and school closures, targeted assassinations, warrantless midnight raids and electronic surveillance, and endless humiliating checkpoints. A driving force behind Israel’s Anschluss of Palestinian land and persecution of Palestinians is Zionism, a bible-based supremacist ideology with a substantial racial component. Zionism justifies the ethnic cleansing of Palestine and the apartheid conditions in which Israel forces Palestinians to live, as a means of securing Jewish safety, given the legacy of European antisemitism. 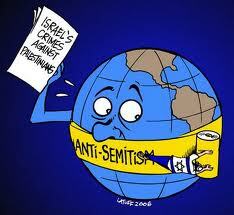 Zionism universalizes antisemitism to all of humanity with special attribution to Arab peoples. Accordingly, Zionists project historical European antisemitism onto Palestinians and onto any supporters of Palestinian human rights. Any resistance to this ideology or the blatant theft and suffocating oppression it enables, from children attempting to reach their schools to the rare act of violent resistance, has been met with savage, disproportionate reprisal by the IDF. Witness the twenty-two day continuous bombardment of Gaza by the IDF in December 2008 and January 2009 (and subsequent such assaults in 2012 and 2014). In the name of Zionism, successive Israel governments have acted with impunity, violating international law, ignoring United Nations Resolutions, disregarding rulings of the International Court of Justice and dismissing the findings of neutral investigative bodies such as Amnesty International, Human Rights Watch, The Jugard Commission, the Goldstone Report, and the United Nations Human Rights Council. The question arises: “Why not boycott other states guilty of oppression of minorities? Why just Israel?” For the simple reason that Americans who are horrified and outraged by Israel’s wanton disregard of human rights and international norms have no alternative effective non-violent sanction other than BDS. Appeals to Congress and to this and other Administrations have fallen on deaf ears. To the contrary, Israel’s belligerence is rewarded by the U.S. with an annual subsidy of four billion taxpayers’ dollars, shared military technology, munificent trading advantages and an on-call veto in the U.N. Security Council. In December 2011, the U.S. Congress gave 29 standing ovations to Israel’s Prime Minister, Benjamin Netanyahu, after which 81 congressional representatives were treated to vacations in Israel, all facilitated and arranged by the American Israel Public Affairs Committee (AIPAC), the pro-Israel lobby umbrella organization. U.S. senators and representatives, with few exceptions, toe the pro-Israel line, knowing that any deviation may result in electoral defeat, engineered by AIPAC. The Call for international BDS against Israel originated in Palestinian civil society in 2005. It was modeled on the Call for BDS against the apartheid government of South Africa in the 1970s. CODZ’s support for BDS is in no way in response to any law, directive, program or mandate of any national government, including the provisional government of Palestine. Aruri, Naseer H., Dishonest Broker: The U.S. Role in Israel and Palestine (Boston: South End Press, 2003). Barghouti, Omar, Boycott, Divestment, Sanctions: The Global Struggle for Palestinian Rights (Chicago: Haymarket Books, 2011). Corporate Watch, Targeting Israeli Apartheid: A Boycott Divestment Sanctions Handbook (London: Corporate Watch, 2011). 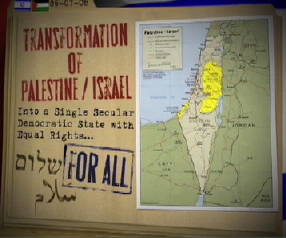 Davis, Uri, Apartheid Israel: Possibilities for the Struggle Within (London: Zed, 2003). Fischbach, Michael R., Records of Dispossession: Palestinian Refugee Property and the Arab-Israeli Conflict (New York and Chichester: Columbia University Press, 2003). Ghanem, As’ad, The Palestinian-Arab Minority in Israel, 1948-2000: A Political Study (Albany: SUNY Press, 2001). Jansen, Godfrey H., Zionism, Israel and Asian Nationalism (Beirut: Institute for Palestine Studies, 1971). Jiryis, Sabri, Arabs in Israel, trans. Inea Bushnaq (New York: Monthly Review Press, 1976). Kovel, Joel, Overcoming Zionism: Creating a Single Democratic State in Israel/Palestine (London: Pluto Press, 2007). Lim, Audrea, ed., The Case for Sanctions against Israel (London and New York: Verso, 2012). Petras, James, The Power of Israel in the United States (Atlanta: Clarity Press, 2006). Rodinson, Maxime, Israel: A Colonial-Settler State?, trans. David Thorstad (New York: Monad Press/Pathfinder Press, 1973). Rubenberg, Cheryl A., Israel and the American National Interest: A Critical Examination (Urbana and Chicago: University of Illinois Press, 1986). Taylor, Alan R., The Zionist Mind: The Origins and Development of Zionist Thought (Beirut: Institute for Palestine Studies, 1974). White, Ben, Palestinians in Israel: Segregation, Discrimination and Democracy, 2000-2010 (London: Pluto Press, 2012). Wiles, Rich, ed., Generation Palestine: Voices from the Boycott, Divestment and Sanctions Movement (London: Pluto Press, 2013). For additional suggested readings, please visit https://codzorg.net/resources/suggested-reading.